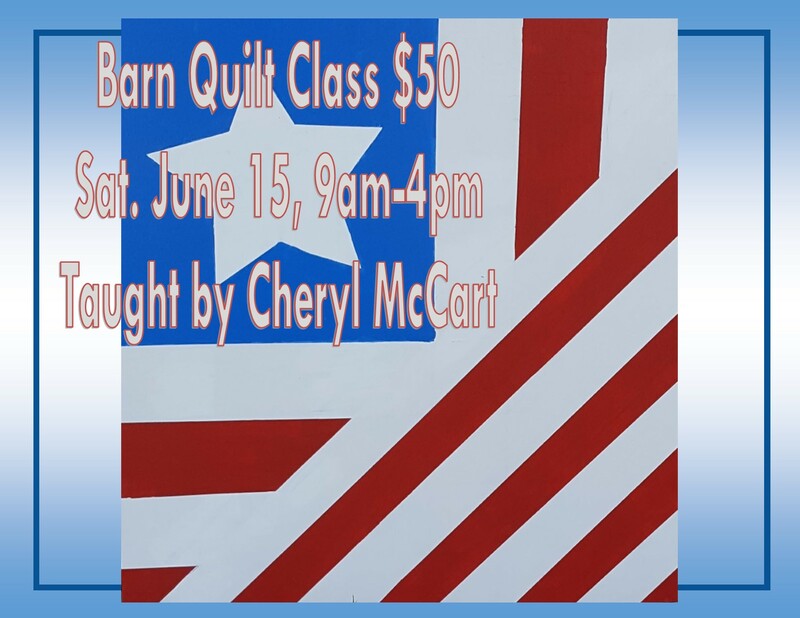 Cheryl McCart will teach participants how to create a two foot square barn quilt. Class will be held from 9 a.m. to 4 p.m. Sat., June 15. Bring a sack lunch. All supplies provided. Class fee is $50. Registration is due by June 12.